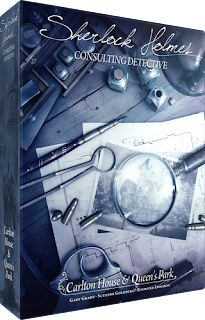 Carlton House and Queen's Park is the next in the Sherlock Holmes Consulting Detective series, a cooperative game where players are immersed in the crimes and intrigues in London during the Victorian era. Players try to solve mysterious cases by interviewing suspects, searching newspapers and walking the streets for clues. Once you have completed your investigation, compare your detective skills to the master sleuth himself, Sherlock Holmes. Carlton House and Queen's Park is a stand alone game providing 10 murder mysteries. The streets of London will no longer be the only scene of your investigations. You'll enter the famous Carlton House mansion and try to solve five mysterious cases. Three days of investigation await you in the green setting of the London's famous Queen's Park. These five cases will give the most experienced players a hard time. The others in the Sherlock Holmes Consulting Detective series include The Thames Murders & Other Cases and Jack The Ripper & West End Adventures. 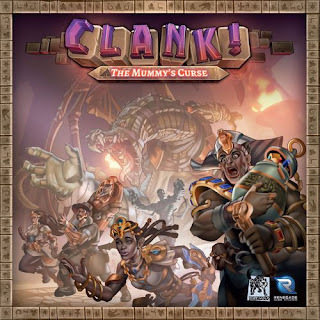 The Mummy's Curse is the second expansion to the base game Clank!, a deck-building, dungeon crawling, press your luck adventure played out on a game board. With the The Mummy's Curse expansion you'll venture into the pyramids of the Ancients. Also, it's not just the dragon you'll have to worry about as a Mummy wanders throughout the tomb, providing both danger and opportunity. 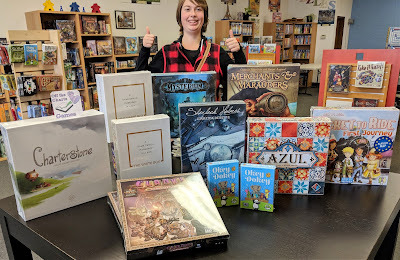 This expansion also provides new companions, treasures, monsters, and a two-sided game board. 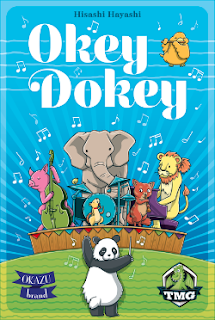 The animals have gathered to put on a musical festival in Okey Dokey, a cooperative family card game. 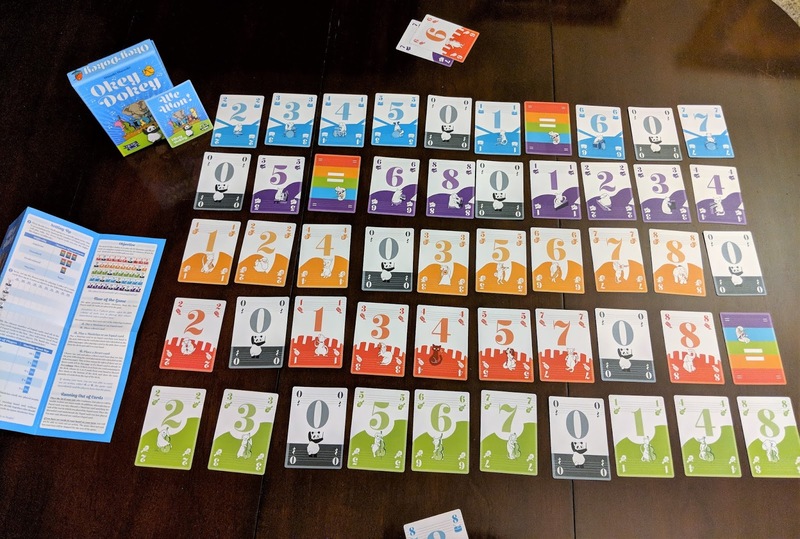 Players work together by playing cards one at a time to a 5 x 10 grid to create a colorful music festival. Cards have very specific ways that they can be played. 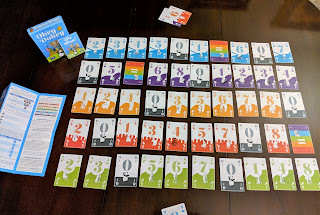 All musician cards in a single row must share the same suit and there can only be one row for each suit. Additionally, cards can only be played in the current column and only when a column is complete can a new column be started. The goal is to play all musicians and reset cards to complete a 5 x 10 grid (5 rows and 10 columns). If you do, your festival is successful and you all win.